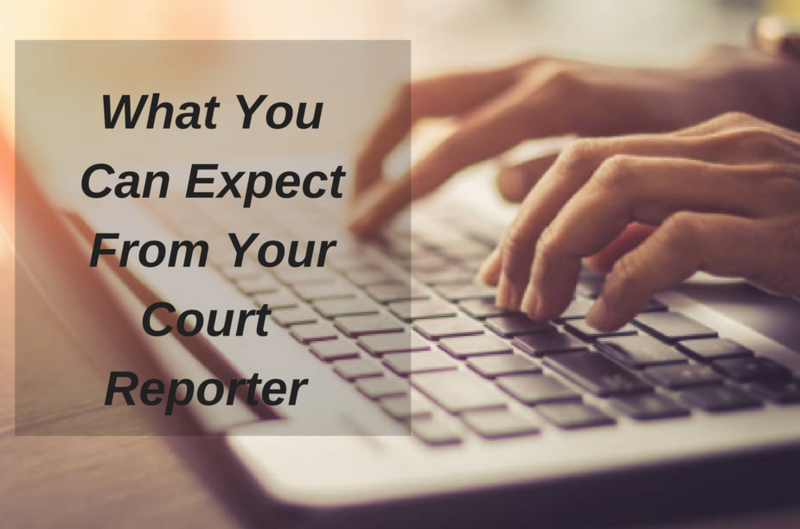 "What You Can Expect From Your Court Reporter"
When you think of the court reporting profession, “speed” and “accuracy” most likely come to mind. While these are some of the key attributes of a court reporter, there are many other qualities that distinguish a mediocre court reporter from an exceptional one. In this guide, you will learn what you can expect when you partner with a court reporter. Enter your information in the form to receive your free guide “What You Can Expect From Your Court Reporter”, so you can rest assured that your court reporter is providing you with the quality services that you are paying for.